*Print this coupon or show your phone at point of purchase. All vehicle specifications, prices and equipment are subject to change without notice. See above for information on purchase financing and lease program expiration dates. Prices and payments (including the amount down payment) do not include tax, titles, tags, documentation charges, emissions testing charges, or other fees required by law or lending organizations. The estimated payments may not include upfront finance charges that must be paid to be eligible for the purchase financing program used to estimate the APR and payments. Listed Annual Percentage Rates are provided for the selected purchase financing or lease programs available on the current date. Program expiration dates reflect currently announced program end dates, but these programs are subject to change at any time. Lessees will be financially responsible for mileage beyond the elected quantity and for vehicle maintenance and repairs and excessive vehicle wear. Option to purchase at lease end for an amount may be determined at lease signing. Payments may be higher in some states. You may not be able to combine other incentives with the purchase financing or leasing programs presented above. Residency restrictions may apply. See dealer for details. Listed APR, down payment, payments, incentives and other terms are estimates for example purposes only. Information provided is based on very well-qualified buyers or lessees. The payment information provided here is not a commitment by any organization to provide credit, leases or other programs. Some customers may not qualify for listed programs. Your terms may vary. Lessor must approve lease. Credit approval required. 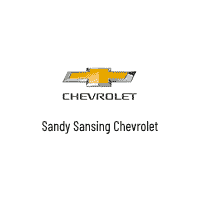 Sandy Sansing Chevrolet	30.476089, -87.249974.